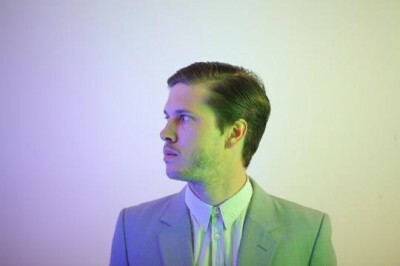 While you may have to wait a minute while Cut Copy toil away on the follow-up to Zonoscope, bassist Ben Browning has a solo EP entitled Lover Motion to hold you over until then. Find out more after the jump. Released on the group”s own Cutter Records, most of Lover Motion“s tunes were created in house before being given a production polish by fellow Aussies and Architecture In Helsinki bandmembers Gus Franklin and Haima Marriott. Franklin, along with Lachlin Dickie, one half of directing duo Krozm gave the gift of live drums to the tracks. unes.apple.com/album/lover-motion-ep/id508229234?v0=9988&ign-mpt=uo=1″>iTunes as well as on vinyl and CD at fine shops and online outlets. To celebrate the EP”s release, Browning, along with Franklin manning the drums and a third secret guest, is heading out on the road for a handful of dates. View the tour schedule, and listen to the entire album below . If you prefer visuals to go along with a first-listen experience, check out the video for “I Can”t Stay” HERE.